Though I’ll admit to having shouted along with Alice Cooper’s “School’s Out” a time or 200, truth is that I love learning and I am awed by the opportunities to learn new skills online. School may be out forever, but learning goes on and on. Understandably, online courses are geared heavily toward learning Internet-related skills – programming, web design, app development, etc. – which is wonderful. A growing number of platforms such as Coursera offer a wide variety of classes covering virtually any subject. Also amazing. 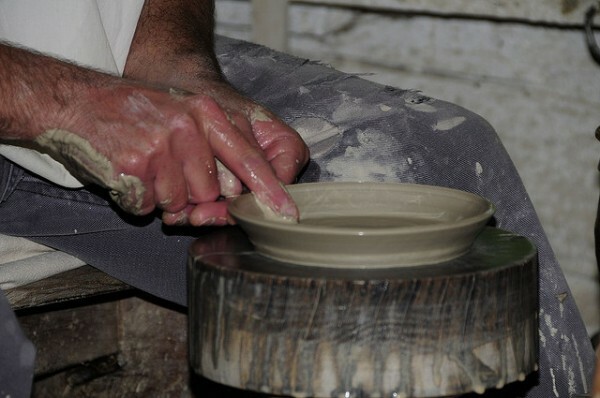 But if you don’t want to enroll in a program and have a great desire to learn an old-school skill? I’m excited to see what becomes of startup Craftsman Ave, a platform where “people can learn a new skill from amazing crafts people and artisans that have mastered their art.” This is an opportunity for individuals to learn how to play instruments, build bikes, make films, prepare a French dinner and much more. Most of us have a “I wish I’d learned how to” skill that we couldn’t fit into our mandatory studies or hectic schedules. Or that we could’t afford. Craftsman Ave drops an alluring hint that members might set their own price for classes and be paired with craftsmen willing to teach at that price. The website hooked me immediately by headlining with one of my favorite quotes: “I am always doing that which I cannot do, in order that I may learn how to do it.” Take a look through the open window into Pablo Picasso’s mind and the nature of genius. Hardly anyone will reach his level of artistry as a painter, but there’s no telling what we each of us might accomplish by allowing ourselves to explore rather than shy away from what we don’t understand. The willingness to learn, to try, keeps us youthful and vibrant. As does sharing our talent with others. Plenty of skilled people live in our neighborhoods, and it’s a pity if they can’t pass along their knowledge. Craftsman Ave gives sculptors, painters, carpenters, blacksmiths and others the chance to teach their trades at their own pace and without the rigmarole of academia. Lucky is the family that has playing instruments or sewing, woodwork, jewelry designing and other artisan skills passed down generationally. Without a relation or the good fortune of finding a mentor, it’s not so easy to locate training. One could make a long case for the cultural importance of preserving such knowledge in addition to satisfying individual desire to learn something new… Perhaps sometime soon. Craftsman Ave plans to begin in New York City and San Francisco. Sign up for early access at craftsmanave.com. May they help us all acquire expert craftsmanship and unlock genius everywhere.